Transformers: Dark of the Moon - The third movie in the franchise that is better than the sequel but still is not as good as the original. Mankind's finest achievement. Our nation's proudest moment. A secret hidden for forty years. One of the taglines for this movie: Mankind's Finest Achievement. Our Nation's Proudest Moment. A Secret Hidden For Forty Years. When a mysterious event from Earth's past erupts into the present day it threatens to bring a war to Earth so big that the good alien robot army alone will not be able to save us. As they learn of a spacecraft from their home planet hidden on the Moon, it begins a race against the evil robot army to reach it and learn its secrets. Optimus Prime is shocked to learn that the location of a weapon that could have won the Autobots the war on Cybertron has been on the moon and the knowledge of this has been kept from him by the United States government. Sentinel Prime was the leader of the Autobots during the end of the war on Cybertron and the pilot of the spacecraft the Ark which held the weapon which could have won the Autobots the war against the Decpticons on Cybertron. Megatron is the damaged leader of the Decepticons who has a plan that could restore the planet Cybertron to its former glory at the expense of Earth and its inhabitants. 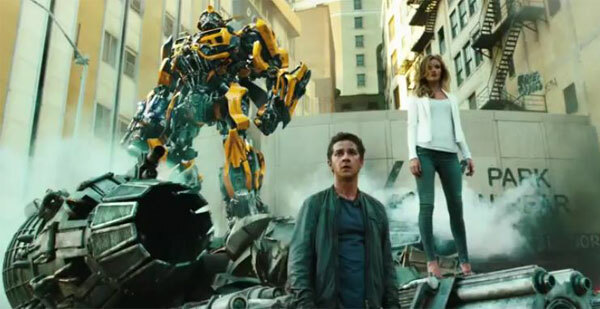 Sam Witwicky is dealing with the fact that he has graduated college and can not find a job even though he has helped to save the world twice, but is now forced to sponge off of his new girlfriend Carly Spencer. I really liked this movie more than Transformers: Revenge of the Fallen and I think it is one of the best 3D action movies of the Summer of 2011. The special effects in this movie have to be seen to be believed and seeing the detail put into every nook and cranny is breathtaking. I don't know where I fall on the debate of whether Rosie Huntington-Whiteley is better than Megan Fox, because I like the look of the of the Carly Spencer character in keeping with the original 80’s cartoon love interest of Spike Witwicky, but I am more comfortable with the attitude of the Mikaela Banes character while interacting with Sam Witwicky. If this is the end to the film franchise then they can say they left with a bang and not a whimper in every sense of the word. I rate this film a rating of 3 & 1/2 out 5. Some of the best 3 D rendering this year.